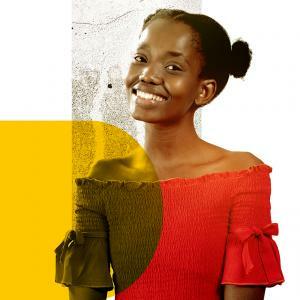 Thuli is Sol’s 13-year old younger sister. Like her friend Arabeng, she is innocent and playful but she can also be cheeky when her back is up against the wall. Thuli has to deal with a difficult domestic home situation. Dealing with her home life has given her hardened exterior, but it has also made her little fearful. Thuli is more adventurous than Arabeng when it comes to the latest fashion, trends, music and imitating her favourite celebrities. Watch how Thuli's story unfolds on MTV Shuga: Down South from 12 February.